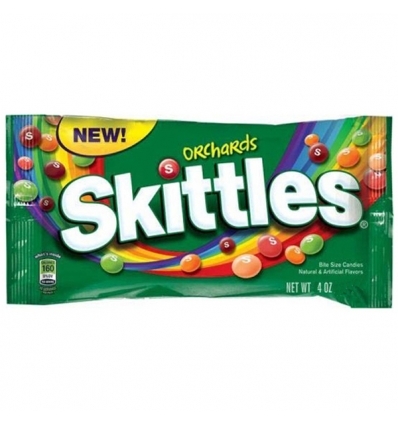 An acquired taste is a slowly developed appreciation for a beverage or food. For instance, most people don’t enjoy alcohol the first time they try it. They have to force it down. 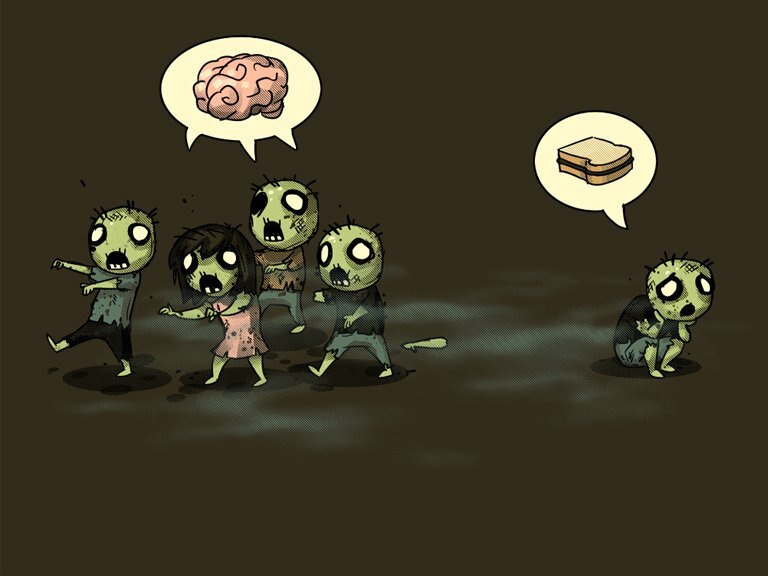 The more they drink it, the more used to the taste they get, and gradually they start to enjoy it. It’s kind of dumb in a funny sort of way. I don’t like this. This is gross. But I’m going to keep drinking it regardless. Ugh, let me choke down another sip. Blah. Another sip. You know what? It’s not so bad. Not good, but not terrible. Another sip. It’s growing on me. Sip, sip, sip. Mmm, this is good. I wonder if it comes in other flavors. Before you know it, you’re a connoisseur of sorts trying to get other people to try what you once hated. Oregon’s Rogue Ales & Spirits presents Sriracha Hot Stout Beer. It’s exactly what it sounds like. It’s a stout brewed with Huy Fong Sriracha. They went all out on this beer. It looks like the iconic Huy Fong Sriracha bottle. It’s red, it has the rooster on it, and it even has a green bottle cap with its own little rooster. I spotted it while I was celebrating Beer Week at Rogue Ales Public House in San Francisco last night. The couple at the table next to me had it and I knew that I had to get it right away. I ordered a bottle for the table and we all went on a trip to flavor country. The aroma is of garlic, Sriracha, and chili peppers. It has hints of chocolate, roast coffee beans, maybe a little smoke, but the Sriracha flavor steals the show. It’s subtle at first and then the spiciness starts to sneak in, intensifying with each sip, just like Sriracha does. It lingers better than any other hot sauce. It’s good. I could drink a whole bottle, but I wouldn’t do two in a row. It’s a beer worth trying, so definitely grab it if you ever get the chance. It’s a cool beer and one that I will remember for a long time. I even kept the empty bottle (along with the cap) as a keepsake. It will look nice on my shelf and it’s a guaranteed conversation starter. Mr. Sketch is a brand of scented permanent pens. 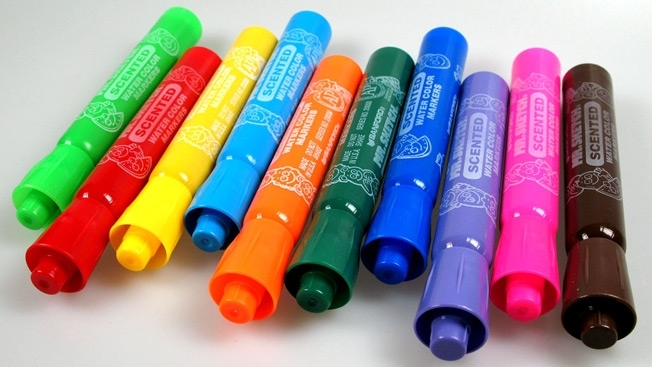 I grew up calling them smelly markers, which is an apt description because they are markers that smell. Be forewarned: they smell great but they taste terrible. I was brought up with the main eight colors/scents. The scent matches the color. Red is Cherry. Yellow is Lemon. Green is Mint. Blue is Blueberry. Purple is Grape. Black is Licorice. Brown is Cinnamon. I can’t remember what Orange is. Mr. Sketch Smelly Markers are a gateway marker. You start by sniffing these in elementary school and you’ll be sniffing Sharpies by middle school, high school at the latest. By college you’ll be huffing spray paint. It’s evolution in action. What’s next? Flavored edible finger paint? That will teach the kids to stay away from paint chips. Aquafina Flavorsplash Berry Loco is a sparkling nutrient enhanced flavored water beverage. Doesn’t that sound appetizing? And scientific? It tastes vaguely of berries. It says on the label that it is a four berry blend flavor. I can’t figure out what four berries it’s supposed to be flavored like. It has a pink hue to it, so I’m guessing that strawberries and raspberries are two of the four flavors. I don’t know why they call it Berry Loco. It doesn’t really taste like berries, much less crazy ones. It has zero calories and a very slight aftertaste. It’s drinkable and refreshing, but I would still take a Vitamin Water over it. It’s alright, but it’s pretty forgettable at the same time. Häagen-Dazs has a lot of premium ice creams and Green Tea Ice Cream is one of them. Not only is it all natural but they also use Matcha green tea, which apparently is good stuff. Green tea ice cream is an oxymoron. How can you make a hot beverage into a cold dessert? And isn’t green tea herbal and ice cream dairy? What the hell is going on? But it works and it’s delicious. It might take a moment to get used to it, and it will never replace Vanilla, but it’s still worth getting. Me likey. Calling yourself a baseball fan without liking sunflower seeds is like calling yourself a Republican without owning a gun. It’s essential to be part of the club. Sunflower seeds are a great snack, and David brand seeds are the best. They make a few flavors like Original, Ranch, and BBQ, but one of their lesser known flavors is Dill Pickle. It’s kind of weird idea to have something that’s pickle flavored and not a pickle, but it works. It’s a subtle pickle flavor, but it’s definitely there. It might take a few minutes to get used to the flavor and I can’t see anyone outside of pregnant chicks actually craving them, but if you eat seeds and want a little variety, they aren’t bad.